There is no short description for this title. What is energy healing? How does energy healing work? What are chakras? Energy Healing through the Chakras: A Guide to Self-Healing answers these questions. If you feel stuck, confused, blocked or are on the path of personal growth, this book will give you a template for how to clear your own energy and step into your power. 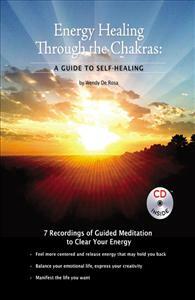 Inside this book, Wendy De Rosa will lead you through questions, reflections and guided meditations set to original music created to support clearing, release, and balance within the chakras. Ready for a shift?